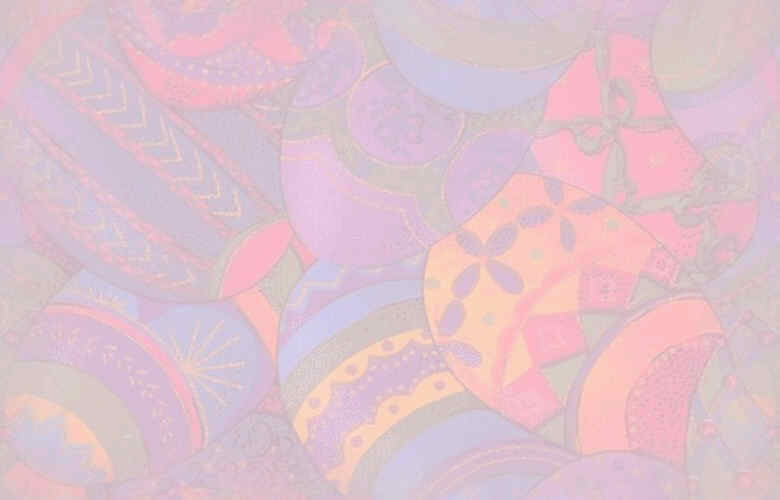 that I have raised for over 30 years. 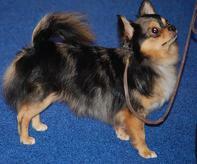 They are socialized within my family from birth, they all have outgoing, playful and loving personalities. 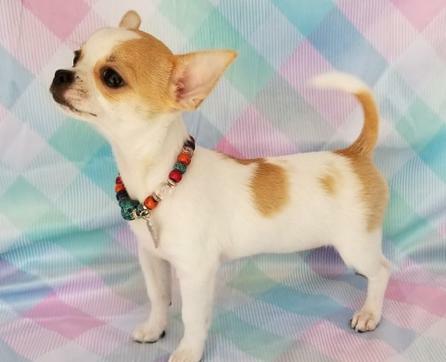 We can't help but to "spoil" them before they leave us for their new homes. 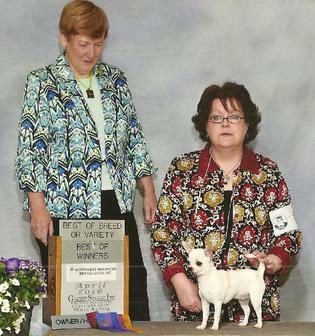 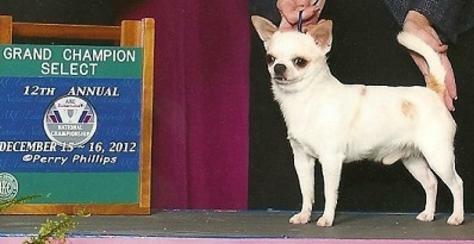 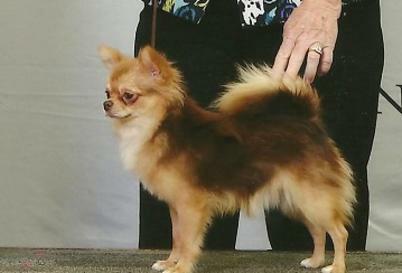 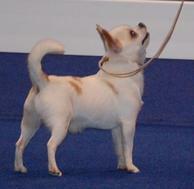 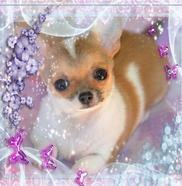 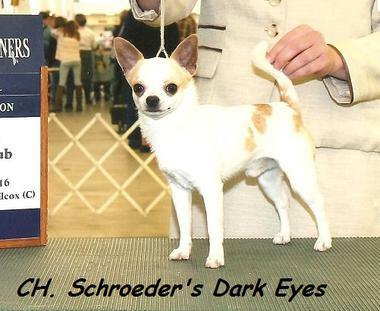 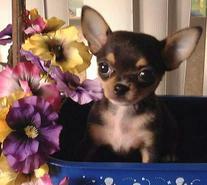 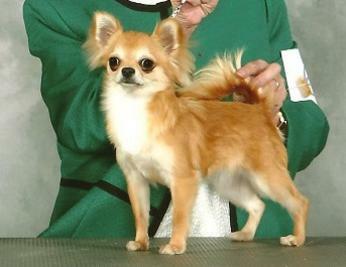 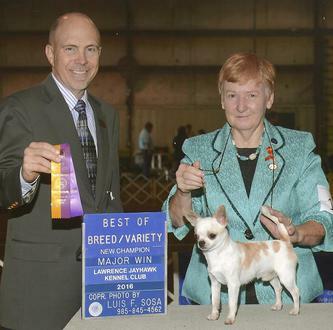 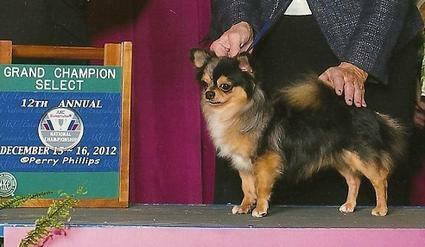 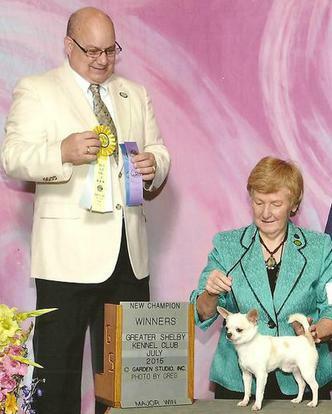 We sell AKC Chihuahua ShowProspects as well as loving family pets for you and your children or grandchildren to love. 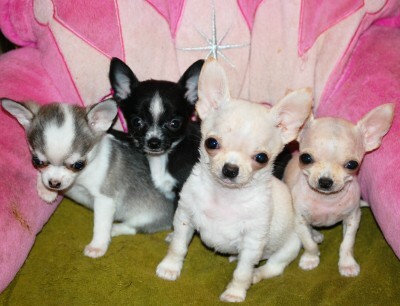 PLEASE DO NOT BUY A TINY ONE For small children...they should be treated like fine china and they are fragile so care is needed.These are our babies.. We would like you to have as much fun with your new "Family member" as we have enjoyed with ours.However, Please keep in mind that the average life expectancey of a chihuahua is 15yrs, so a new pet is a obligation you must be willing to accept as a lifelong commitment. 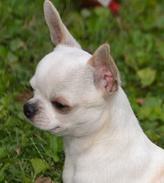 Sire is GCH CH RJB "DAVE"